Hello everyone... Helen is here today. 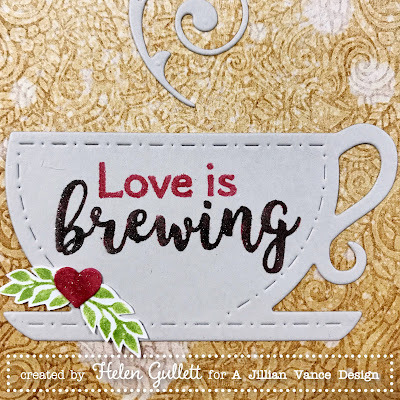 I am back with love and coffee theme card using the new stamp, die set, and INKboss Inkpression Plate. I used the BREWtiful Stamp set that also coordinate perfectly with the Coffee, Tea & Me Die Set. 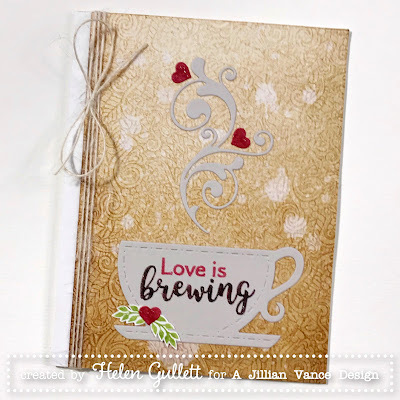 And I also used the new Coffee Collage INKboss Inkpression Plate, which is a new fun way creating texture background on the card. I LOVE IT! 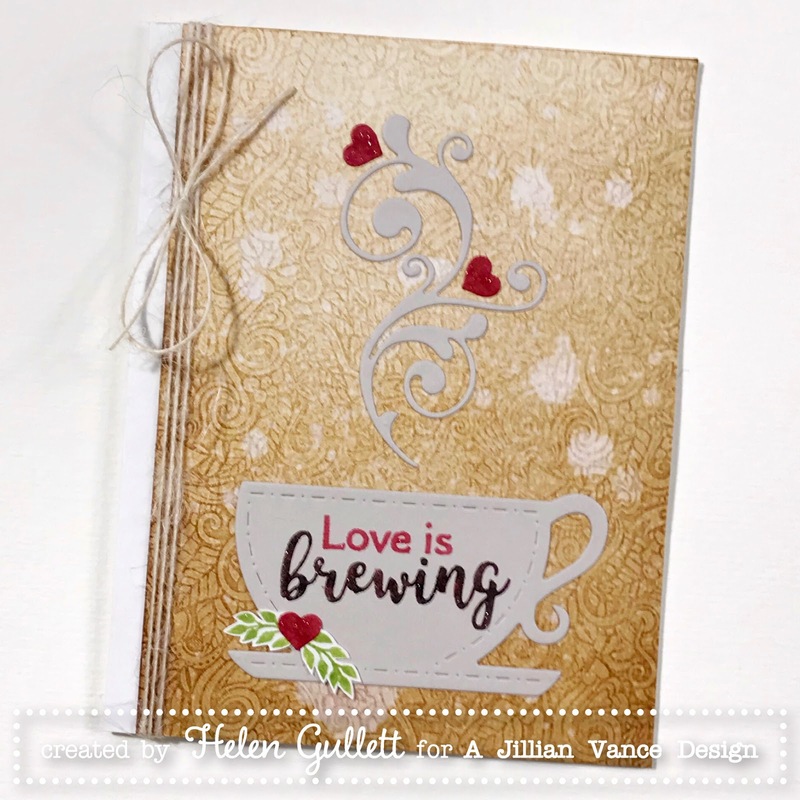 First, I used heavy weight white cardstock and run it through my dicutting machine with the Coffee Collage INKboss Inkpression Plate just like I work with embossing. After that, I added some Vintage Photo Distress Ink with applicator to create that ombre look background. With the ink applied, it brings up the texture. Once I was done inking the panel, I sprayed with some water using the Distress Sprayer bottle, and I dabbed it with paper towel to get the stained distress look. I added the panel on the card base. After that I cut the cup and swirly steam using Coffee, Tea & Me Die Set with light grey cardstock. 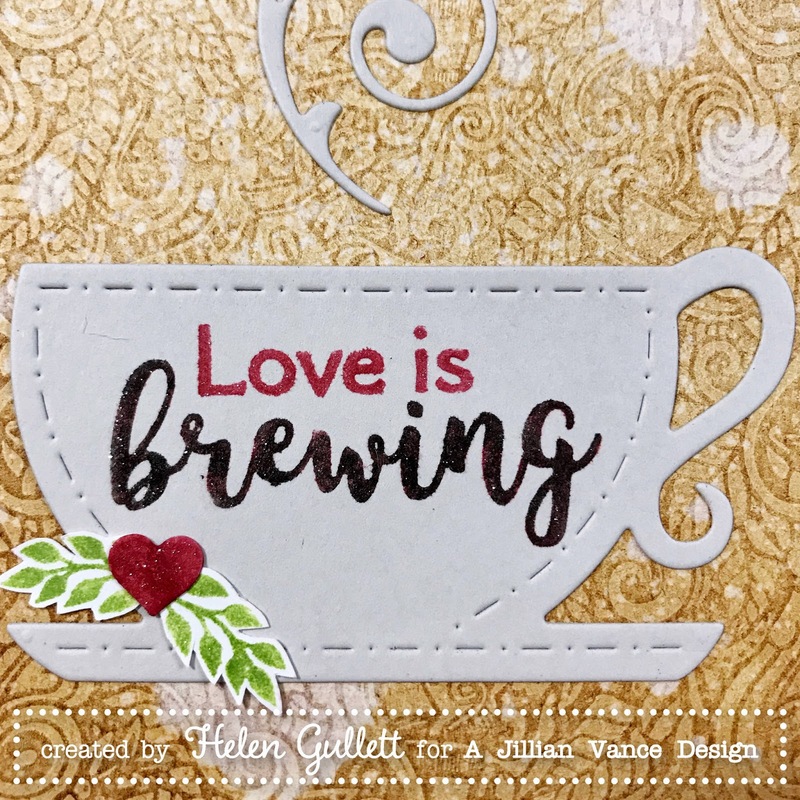 Before I added them on the card, I colored the hearts and stamped the sentiment from BREWtiful Stamp set with Faber Castell Stampers Big Brush Pens. I also added some glitter on them with Spectrum Noir Sparkle Brush Pen. 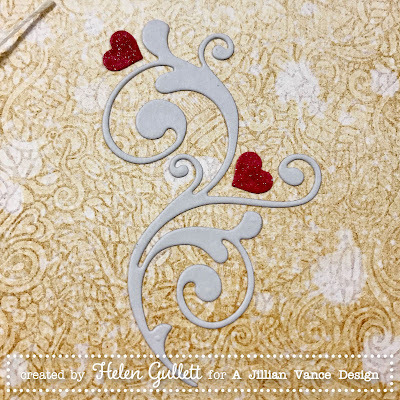 Once all pieces were dry, I added them on the card with strong liquid adhesive. I finished the card with some natural ribbon twine. Thank you so much for stopping by today! Have a brewtiful day! Oh FINE! Three more items to add to my wish list! Nice work! Love this shimmery and beautiful card Helen!! !